I am reading an interesting new book from the Mises Institute — The Austrian School of Economics: A History of its Ideas, Ambassadors, and Institutions by two living Austrian authors, Eugen Maria Schulak and Hebert Unterköfler. I will leave the task of a full-blown critical review to experts in the history of thought, but a few passing observations might be of interest to this audience. One might wonder about yet another history of the Austrian School, but there may be a genuine claim for value-added here, certainly in my case. For one thing, this is a translation from the German edition, so the majority of the references are in German. We parochial English speakers often proceed in isolation from important contributions in other languages. I was struck for example by the volume of work Carl Menger has done in German that has never been translated. And this is the case with all of the usual suspects. 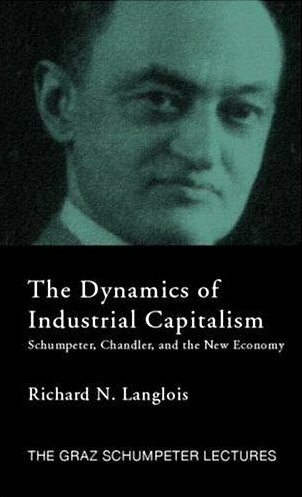 As it turns out, this is particularly important in one case: the case of Schumpeter’s Theory of Economic Development — to which one of the short chapters is devoted. The one English edition that exists is a translation of an earlier German edition. So it fails to capture many aspects of Schumpeter’s later vision. Many things derive from this early work, namely, Schumpeter’s entrepreneur, in its earliest incarnation (and its evolution in subsequent editions), the idea of the entrepreneur as the combiner of capital goods, and, of course, the notion of entrepreneurship bringing gales of “creative destruction.” The authors describe the development of the work through its various editions as Schumpeter matured as a scholar and became more confident, less nuanced, in his assertions. An example is his story of the business cycle — how the innovating entrepreneur was necessarily involved in “credit creation,” which thus precipitated a cycle (Richard Ebeling has recently done some interpretative work on this). At the time he first proposed this idea, he was vigorously criticized by Böhm-Bawerk and others — and our authors see this as the emergence of the first significant breech with the Austrian School. Dare I be so bold as to suggest that the contemporaries might have gotten it wrong, and, along the lines of Ebeling’s interpretation (reference below, also see my blog here and here), that Schumpeter may be understood more plausibly within a modern central bank institutional setting as hatching a variation of the Austrian Business Cycle story? The authors also make some fascinating assertions that I am not in a position to evaluate — indeed many readers will probably be better qualified than I in this respect. 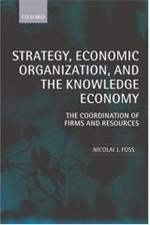 They connect Schumpeter’s theory of leadership (something which features prominently these days in management circles) to Wieser, Weber, and Nietsche and the “emerging leader cult in Germany.” They report Schumpeter’s statement, “It is leadership rather than ownership that matters.” I wondered how this related, if at all, to the recent Foss-Klein work on entrepreneur as necessarily an owner (most likely they have dealt with this). There are many other interesting chapters capturing the lives and times of the early and later Austrian school participants, resulting in a picture much more populous and detailed than the usual bare bones account of Menger and his intellectual progeny. The accuracy of this picture will have to be judged by others, as I indicated. The book ends with the story of the revival of the Austrian School in America. Here the authors miss the mark by a wide margin. They fail to mention South Royalton. They mention a sprinkling of modern and contemporary authors and completely neglect others. It seems they hurriedly consulted a few random scholars on this and pulled together an inaccurate and very incomplete picture of contemporary scholarship in the Austrian tradition in all of its various approaches. Finally, the translated text is often clumsy and the vocabulary sometimes peculiar. Still I found it interesting and worth-while to read. Entry filed under: Entrepreneurship, Former Guest Bloggers, History of Economic and Management Thought. Now Ready for Pre-Order! Strategic Entrepreneurship Conference Starts Today! With regard to Schumpeter, it is actually the other way round: the English version of his “Theory of Economic Development” is a translation of a later edition, which is substantially altered and shortened (e.g. the complete 7th chapter of the original edition was dropped). Becker, Knudsen, and Swedberg (2011) include a translation of part of the 1911 version of the theory of Economic Development in their recent collection of Schumpeter’s writings on entrepreneurship.